It is the policy of The Media Evangelism Limited ("TME") to apply and comply with the laws and principles of the Personal Data (Privacy) Ordinance (Cap 486) of the Laws of Hong Kong in collecting, holding, processing and using your personal data. However, this policy does not apply to the practices of companies that we do not own or control, or to people not under our employment or management. 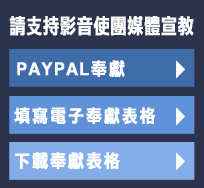 This policy, in particular, does not apply to other third party web sites accessible by hyperlink from web site www.media.org.hk ("Site"), or sites linking to this Site. We also collect general information about your visits by means of cookies files when you visit certain services of this Site. "Cookies" are small test files sent to your browser from a web server and stored on your computer's hard drive. The information so gathered is only used for analyzing your preference in relation to the products and services we provide. You can decide not to accept the cookies files, but if you do so, certain functionality may not be available.